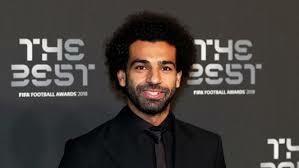 Liverpool star, Mohamed Salah, has received the Puskas prize being the award for the best goal of the season at the Best FIFA Football Awards 2018. The decision shocked football fans who assumed Gareth Bale would have won the award after his stunning overhead kick for Real Madrid against Liverpool. Salah was forced off in the 30th minute in Kiev in the Champions League final after being hauled to the ground by Real Madrid star, Sergio Ramos. But the Egyptian was handed the prize for the best goal on Monday night. His goal for Liverpool against arch-rivals Everton was considered the best of the last 12 months. “Good evening everyone. Nothing much to say about that but I’m very happy and very proud,” Salah said after winning the Puskas award.